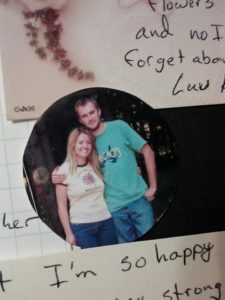 My husband of 9 years died suddenly by suicide in 2015. We had been married for nine years. Our children were 4 and 1 1/2 when he died. They are now half orphan. 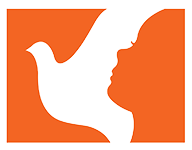 What does that mean for a child? How do they grow up remembering a Papa that they only knew on earth for such a short time? Traditions. A tradition is not only something that you do on a holiday. A tradition is any belief, custom, or hobby that you carry on from generation to generation. What is one of my favorite traditions that my husband had? One of my favorite beliefs that he owned in his heart? It’s the great outdoors. He loved to just be outside. He worked a side job from the time he was around 16-years-old on a local farm and he did it still as an adult because he loved the smell of the fresh country air. 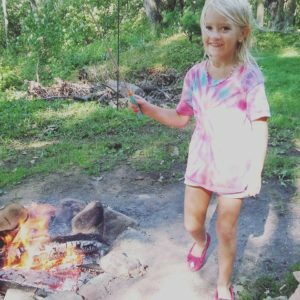 In the years before we had children we went on numerous camping trips and always had such a great time. We grew to love nature more and more, together. One of our favorite things to do was to go down to my grandpas land, sit in the little hunting shack, stoke a little fire in the wood stove and sit for hours reading the newspaper and talking. I think we both grew up loving the shows, “Grizzly Adams” and “Little House On the Prairie” and we like to, for just one day, pretend that life was that calm and content out there in the woods. 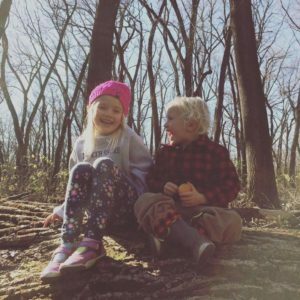 Our children’s memories of their Papa that are the most vibrant to them are the memories of us being outdoors as a family. 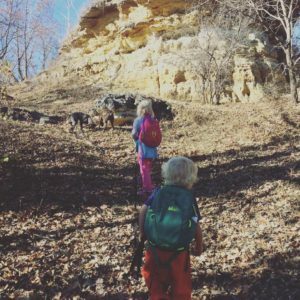 We loved taking our kids to local Minnesota state parks to hike. We would bike ride from our home for miles out to the bike trail and then stop for a root beer and some lunch. We took family vacations not to Disney land, but to natural places where we could rent a tiny cabin and be in nature. This was very important to us as a family. We wanted to be outside as much as possible. There are traditions of my husbands that I might not be able to carry on. We cannot recreate everything that a person did. My husband knew how to work on and fix cars of almost any make and model. This is something that I do not know how to do and I don’t know if I will ever learn. But going outdoors? That I know. That is in my heart, in my soul. That I can do and I can do it with pure joy in my heart. Since my husband died 16 months ago, I have taken my children back to all the familiar trails. Back to the bike trails, the hiking trails, the walking trails. I have taken them to stay overnight in teeny tiny cabins out in the woods where we had bonfires and went kayaking. We have played in creeks for hours. This is what I will do for my best friend, for their Papa. I will take them to all of the places as they grow up that he dreamed of taking them. All the Minnesota state parks, nature centers, The Sequoia forest, Yosemite, Canada, and beyond. I will get them there and we will take him with us in our hearts. 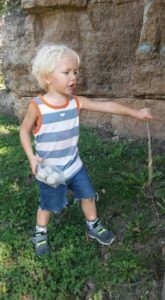 My husband and I had the dream of homeschooling our children. I am carrying on that dream. When our kids are out on a beautiful, sunny Minnesota day in the middle of the week, hiking and laughing and learning, he’s there. He always said that he wished he would have grown up being outside. He always said that he wished he grew up with a dog, and a hiking stick, and the freedom to climb a tree all day long if he wanted. So when our children are out in our local wild places with their two dogs and they are so joyful, he is there. He is there and he is smiling that big smile that made me fall in love with him all of those years ago. That boy that I met when he was 22 and I was 24 and he smiled at me and I felt at home. He’s with us in all of those outdoor spaces. We talk about him when we’re out there in the woods. 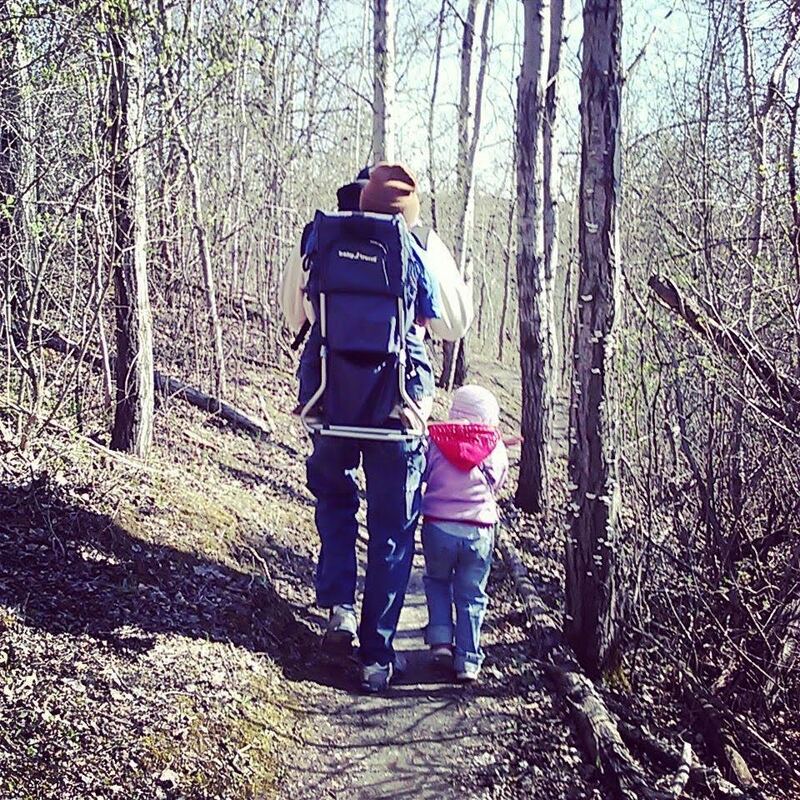 Our now 6-year-old daughter recalls stories of being on hikes with her Papa. I tell them stories about him and I camping. About the time we camped and it rained so hard our tent crashed to the ground and we had to stay in a local motel with our wet dog. And they laugh so hard they fall to the ground with those smiles. Those smiles that remind me of that boy. That boy that I fell in love with all of those years ago. That boy whom I will carry in my heart and in my outdoor traditions until the day that I too cross over into the beyond. Nik Tebbe is a solo Mother of two young children in Minnesota. In 2015, her husband of 9 years unexpectedly took his own life, leaving her a young widow. Nik has been blogging about her journey through grief since November of 2015. She is growing and transforming her spirit into: grief guide, grounded spiritual mentor, motivational speaker and author.